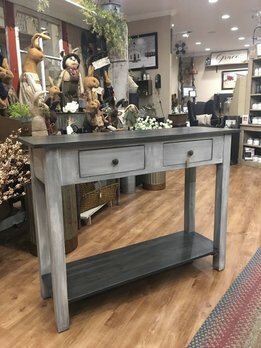 The Farmhouse Sofa Table will make a great addition to your rustic home! 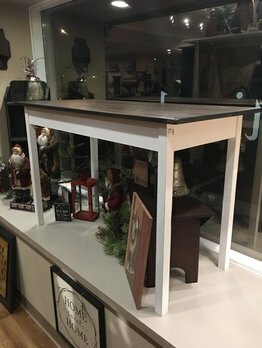 The antique slate stain finish mades this table a unique piece that your won't see anywhere else. Perfect being a sofa or as a TV stand. Made of solid wood in the USA!